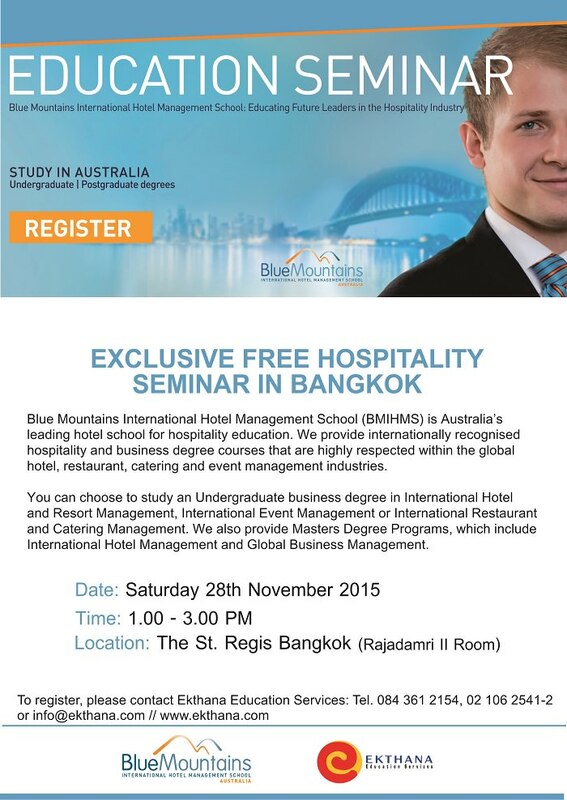 Blue Mountains International Hotel Management School (BNIHMS) is Australia’s leading hotel school for hospitality education. We provide internationally recognised hospitality and business degree courses that are highly respected within the global hotel, restaurant, catering and event management industries. You can chooses to study an Undergraduate business degree in International Hotel and Resort Management, International Event Management or International Restaurant and Catering Management . We also provide Masters Degree Programs, which include International Hotel Management and Global Business Management.